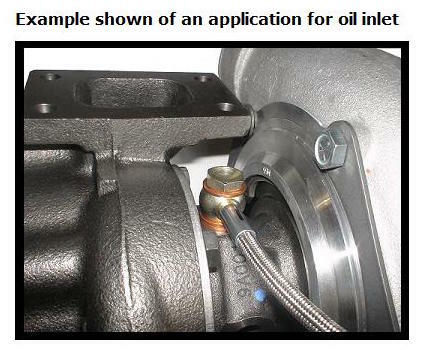 Low profile oil inlet (oil feed) -3AN LINE Kit for GT25R through GT35R (or GTX28 through GTX35) series turbochargers. 48" line length with integrated banjo. 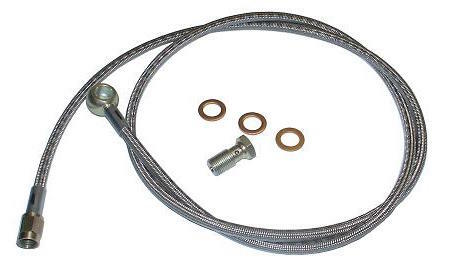 Includes standard banjo bolt with 0.18" diameter hole. Alternate restricted banjo bolt with 0.035" diameter hole (additional +$10.00).